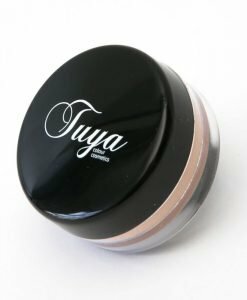 Tuya Mineral Prepping Primer prepares the skin and creates a flawless, smooth surface for foundation application with lasting benefits. This silky colourless base ensures make-up glides on while hydrating, luminising and mattifying the skin. Fine lines, wrinkles, imperfections and pore defects “Appear to Disappear”. Preparing the area is of prime importance to keep make up secure and fresh all day. 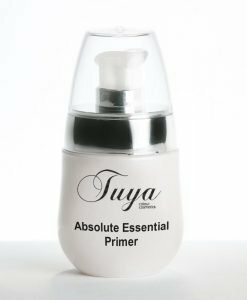 Tuya Mineral Prepping Primer is suitable for any age or skin type. Application Technique: Apply a very small amount of Prepping Primer to clean dry skin and let dry before next make up application steps. Tips: Can be mixed with Tuya Mineral Powder foundation to create a tinted primer. 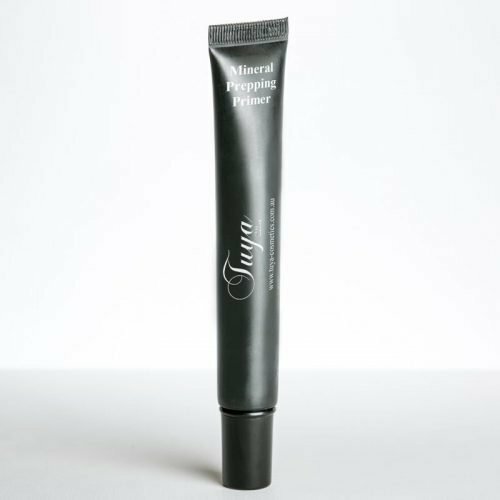 Ingredients: Cyclopentasiloxane & Dimethicone Vinyl Dimethicone Cross Polymer, Tocopheral, Pomegranate Seed Extract, Seabuckthorn Extract, Bisabolol, Kiwi Seed Extract, Rasberry Seed Extract & Fragrance.